Matt Norlander tweeted that the prosecution would again ask the judge to allow Miller to testify. I’d love to hear the tapes! I don’t understand this comment. Would you elaborate? @BShark - where did you see this? Link? @jayballer73 - I suppose Self could be in reference to Grimes and SDS potentially coming back? RE: Who in the world do we have for next year? “Falmagne told The Star that he did indeed receive $2,500 in cash in the mail. He told The Star it was not apparent who sent the money. He told The Star he gave the money to charity — a church in Florida. Falmagne said the NCAA was aware of this and has receipts of the transaction that he provided to the organization. “He said it was not true that he agreed to accept $20,000 for securing De Sousa’s enrollment at Kansas. “That did not happen. There’s nothing there,” Falmagne told The Star. The “Coach Self won’t be there next year” appears to be the most effective recruiting strategy being used against KU. Signees are still going to schools that may be on NCAA Tournament probation, but they still get to play, sharpen their skills and set themselves up for the draft. In other words their coach is far important than post season titles. If KU could get HCBS to sign an extension ASAP, maybe recruiting will pick up. Otherwise, this situation is similar to former KU coach Roy Williams saying “I’m not interested in other jobs”? KU basketball banquet tonight at 6:30, I believe. Maybe some announcements regarding staying or going? @jayballer73 , @BeddieKU23 - Any rumors on the guys selling soft drinks and food? You guys are hilarious!! @Woodrow - I’m certain Cronin will face sticker shock when he gets here. $1,000,000 homes in nice areas, heavy traffic, long commutes, $4.50+ gasoline, pressure from alums, competition from all NCAA and pro sports franchises. It ain’t Cincinnati! RE: Nike, Zion - This Is Not A Surprise. Saw this tonight. Interesting info on Ayton payments. Folks, I’m feeling relieved it’s over for this year. I never enjoy a KU loss and there was something missing this year, something undefinable. Was it lack a defined leadership, lack of “team”, lack of a will to win? The NCAA trial and investigation? Maybe it’s as simple as a defense that can’t guard the 3 point line, a seeming common thread over the years. At least now, we can discuss recruiting, hope for SDS to get cleared, see who’s returning, talk football and do any number of things. (Sigh) I know in my heart that this reasonably successful year is still a down year for KU fans. This year started with such promise! It ended with yet another early round loss. But… hope springs eternal. RE: Let's beat the Cyclops chat here. This is a long thread. Maybe I missed it. Why isn’t McCormack playing? This isn’t on Dotson at all. Garrett and OA are really bad today. It doesn’t appear ISU even guards MG drives, knowing he’ll miss. Can someone explain HCBS substitution reasoning? Most players arent iout there long enough to impact the game. Garrett is having a horrible offensive game. Why is Moore in? 🙄 Please don’t tell me he’s looking for a combination that works…This seems like madness? RE: I miss Jaybate, I miss last year. @nuleafjhawk If I fell 150 feet down a well, hopefully I wouldn’t feel anything! Lassie and Timmy would find you. You’ll be OK! @FarmerJayhawk - Grimes returning is a better deal, IMHO. @Hawk8086 - season. I hope they have a great game in them on 3/09! @Hawk8086 - ISU thrown in the towel? LJWorld says OSU didn’t score in last 4:02. Couldn’t watch the game, so was KU’s defense the answer? Or? All in all, a good half. Bring it in 2nd half! RE: KU fears investigation case due to Silvio De Sousa eligibility. Devon Dotson has been named National Freshman of the Week by CBS and USBWA! Outstanding! @Crimsonorblue22 - I was unable to catch the game today. How did Big Dave look on the court? RE: VICK GONE for Good this time??? Starting Ochai is a reasonable thing, I agree. Although it might get in Grimes’ head, it just might serve as a swift kick in the behind. And I noticed Grimes last Saturday, while Ochai finished the game, didn’t he? HCBS says it’s not who starts, but who finishes? 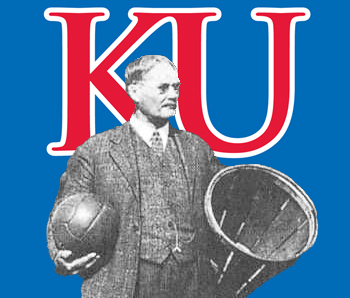 Looks like your connection to KU Buckets was lost, please wait while we try to reconnect.